The famous Driskill hotel – host to over half a century of colorful Texas history – has been remodeled, completely air conditioned and beautifully redcorated. Unusually fine furnishing. 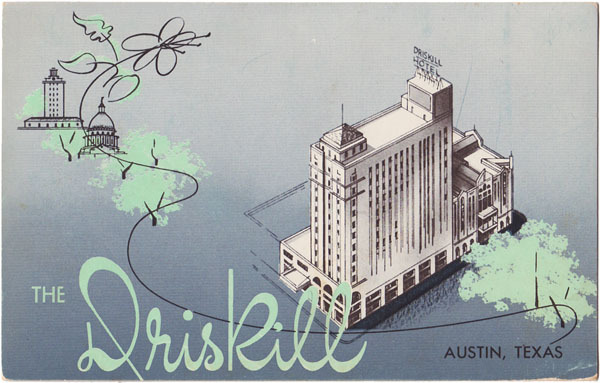 excellent foods and superior service have made the Driskill one of the outstanding hotels of the South. ... home of the Crystal Ballroom, Maximillian Room and the Jim Hogg Suite.